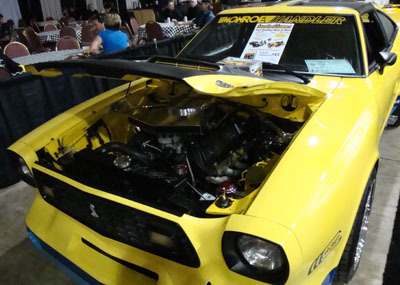 i am intrested to buy the fiber glass kit called Monroe Handlers, very old for a Mustang 1976. Can you tell me where I can buy one? The Mustang 11 Monroe handler kits started life as a 1978 Mustang 11 concept sketch back in the days with Creative Car Craft, Harry Bradley, Tod Gerstenburger and Harry Weeks. With contributions from "Cactus Jack" Roush, better known as the father of Roush Racing, and others to become the kind of car that many thought should have been built by Ford for the Ford Pinto based new Mustang 2. The original kit built by Dave was pulled from molds from his prototype fiberglass body kit. This kit for the Mustang ll, which he called the Handler ll sold at the time for $1,299. As far as I know, there is no one currently reproducing the kit for the Mustang 11. If anyone does hear of any reproduction kits for the cars, they can contact me via the Contact form or comment here and I will make sure that the information is posted up for everyone's use. Good Luck with your search for a Monroe Handler Fiber Glass Body kit/.